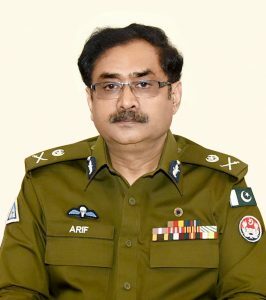 Home / Forces / Who Is the Current IG of Punjab Police? Question: Who Is the Current IG of Punjab Police? IG is the abbreviation of Inspector General. Inspector general is accountable for performing the duties of providing the duties of attending the security and protection of the state-city place. From Qurban Ali Khan till the current IG Of Punjab Arif Nawaz Khan all reforms in the police made during this tenure. The complaint Management System CMS and Police Station Record Management system PSRMS. The front desks are always approached with respect to the front desks. The Criminal record management system short known as CRMS is being implemented. These reforms are made under the regulatory approach. You can also find here Who is the Current IG of Islamabad Police? The provincial monitoring room and control rooms also way out to know about the systematic approach. The simple approach of the IGP police complaint Center 8787 is highly sensitive reform directly applied. The Police Legal affairs monitoring system, Anti Vehicle Lifting System and Video Conferencing are an employee-related successful approach. The media control room and women help desks are high approaches to made clearance to the duties and responsibilities of current IG of Punjab. The most recent up gradation is the driving license issuance management system DLMIS that directly relate to the effectiveness of Current IG of Punjab Police as well.